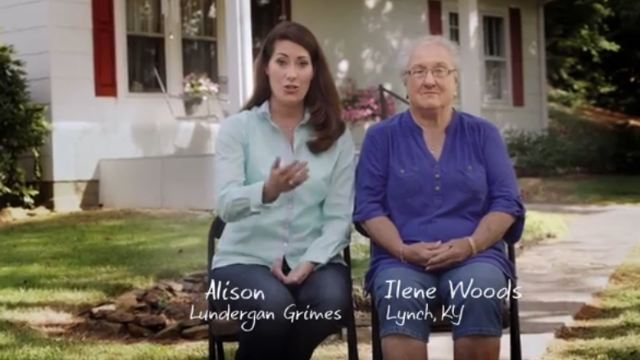 (CNN) - Kentucky's two U.S. Senate candidates traded pithy barbs Saturday at a dual campaign stop in the midst of a race with national implications. 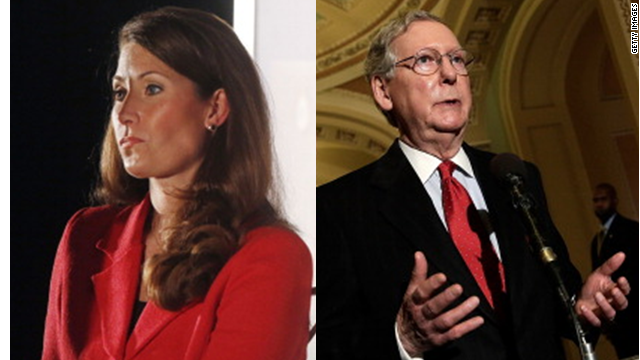 Senate Minority Leader Mitch McConnell and his opponent, Democrat Alison Grimes, appeared in western Kentucky's Fancy Farm Picnic, where they each criticized the experience level of the other candidate. 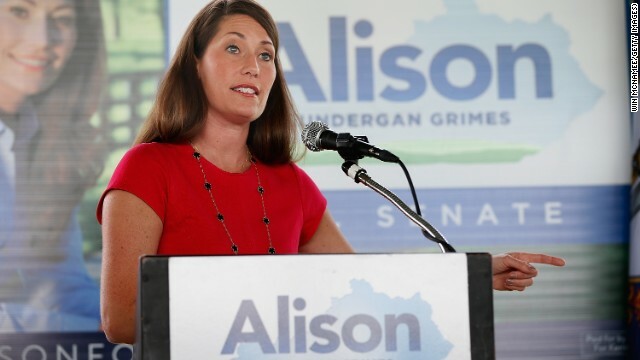 "Thirty-five is my age - that's also Senator McConnell's approval rating," Grimes quipped. 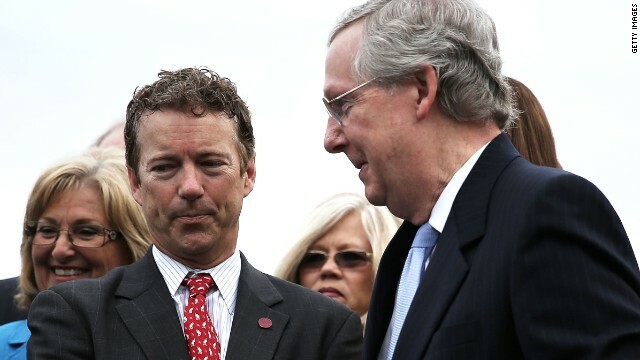 Polling from earlier this year indicated McConnell's approval rating was in the low 30s.